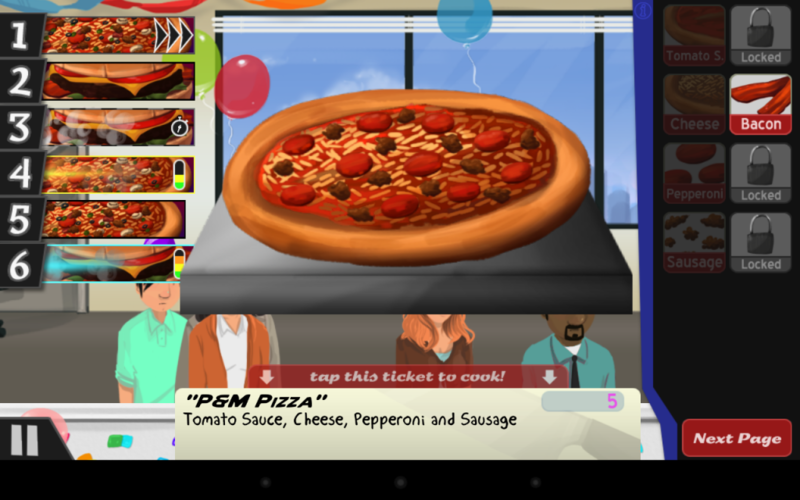 Cook, Serve, Delicious available NOW for Android! | Vertigo Gaming Inc. Both the demo and full game can be found in the Google Play Store, for the low price of just $2.99 for a few days only! 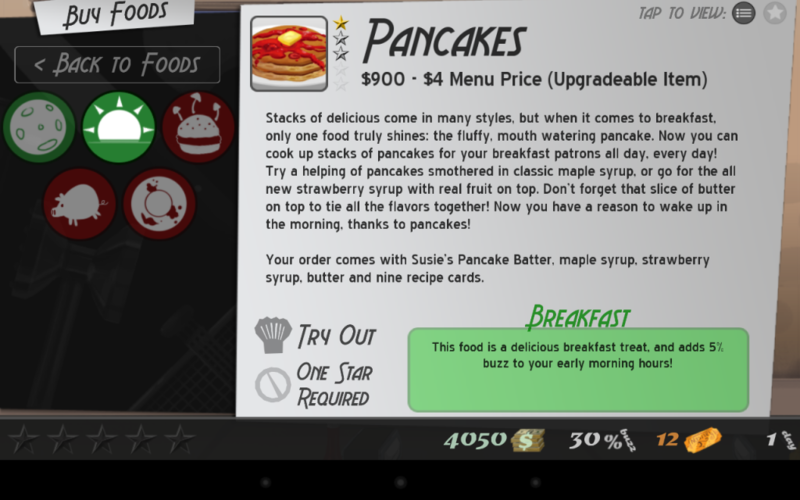 Not only that, but the game fully supports Google Play Achievements and Leaderboards! 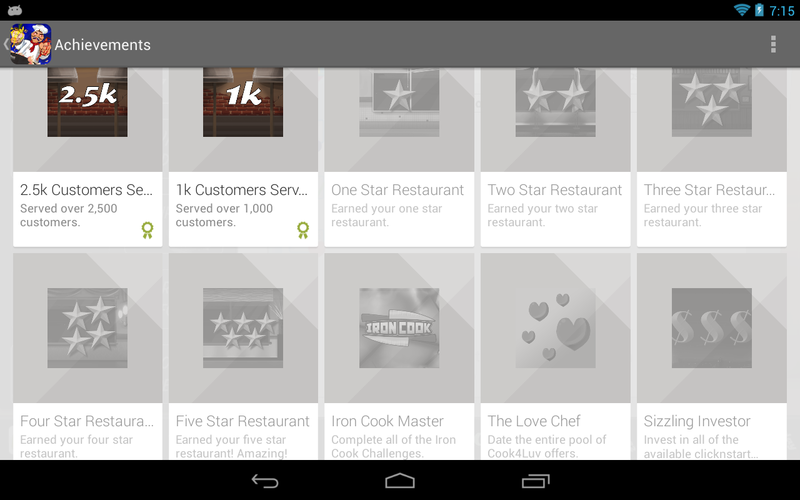 There are 22 achievements in all, and with the new Google Play app you can track your achievements with friends in your Google Plus account. I have said the word Google more in this post than any other post I’ve made ever. This is a bit of a “soft” launch to make sure that everything is running nicely. I want to thank the people who beta tested this game on Android and helped me get it spiffy’d up and ready for release, and I can’t wait to hear what you Android peeps think of the game. Please be sure to try out the demo first to make sure it runs nicely on your device. It’s recommended that your screen is a phablet/tablet with more than 512mb of RAM. 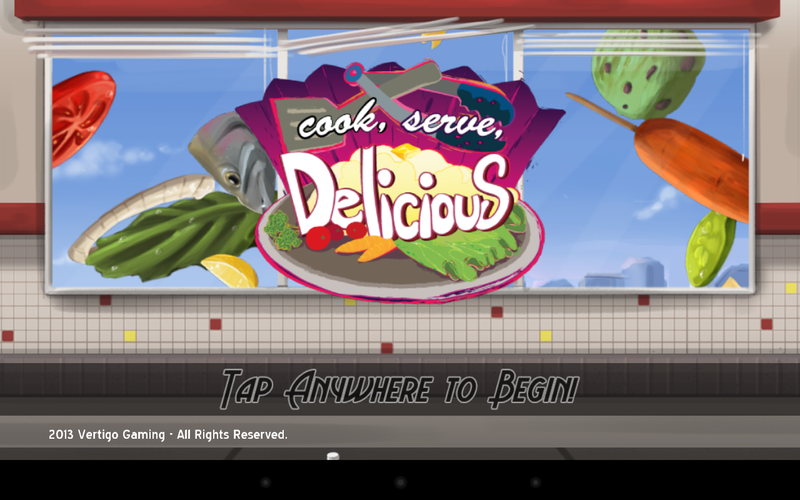 Enjoy the game and here’s hoping that Android won’t be the last platform Cook, Serve, Delicious will make it’s way to in the future! Woo! Glad to see CSD’s influence grow! I’m darned fond of the game myself, and I hope you decide to keep going with it. CSD2 PS4/Vita crossbuy? The future is bright. Love the game! Looking forward to more in this genre.